I subscribe to the Codes of Ethics and Practice of the UKCP, ITA and BACP. I hold insurance, with Towergate Professional Risks, and have an annual Enhanced CRB police check. 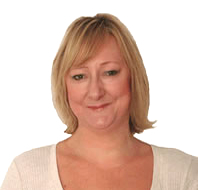 Lynne Farr is a UKCP registered psychotherapist who completed her training with the Northern Guild for Psychotherapy and Counselling (NGP). Prior to training as a counsellor and psychotherapist I was a registered general nurse and health visitor and have many years of experience of working within the NHS as a nurse and a counsellor. Many people are unsure which would be most suitable for their needs and what the difference is. Generally, counselling is helpful for specific 'here and now' problems such as bereavement, stress or anxiety and is often shorter-term. However, psychotherapy will be appropriate for more entrenched, deep-seated, difficulties tending to involve longer-term work. The way we live our lives, as adults, and the relationships we develop, are greatly shaped by our early childhood experiences. Often we are able to resolve difficulties in our present lives and make changes by exploring, understanding and resolving connections between past events and current difficulties. What a particular therapist is able to offer will depend on the type, length and depth of their training, as more complex and deeper issues may require more specialist training. My training allows me to work with different levels of difficulty from the deep-seated issues to the problems that have developed more recently. Our initial assessment meeting would enable us to decide together what would best meet your need from short-term counselling to long term depth psychotherapy. I work within an integrative and humanistic framework, with transactional analysis as my core theoretical model but also encompassing many other theories and approaches as appropriate to meet the client’s individual need. This might involve using a cognitive behavioural therapy approach if this is relevant. (CBT). I believe that the nature and quality of the therapeutic relationship is of crucial importance in enabling change and resolution and is a vehicle for addressing and making changes to people’s lives and the way they think, feel and behave. I offer sessions for couples with relationship difficulties.